In November, two of our amazing friends got married in Puerto Vallarta, Mexico – and we were lucky enough to attend. I have been to Mexico only once before, for our honeymoon. And let me tell you, Cancun is very different from Puerto Vallarta! Cancun seems to be much more focused on resorts, and I don’t think we saw a single local the entire time (aside from those working at the resorts). 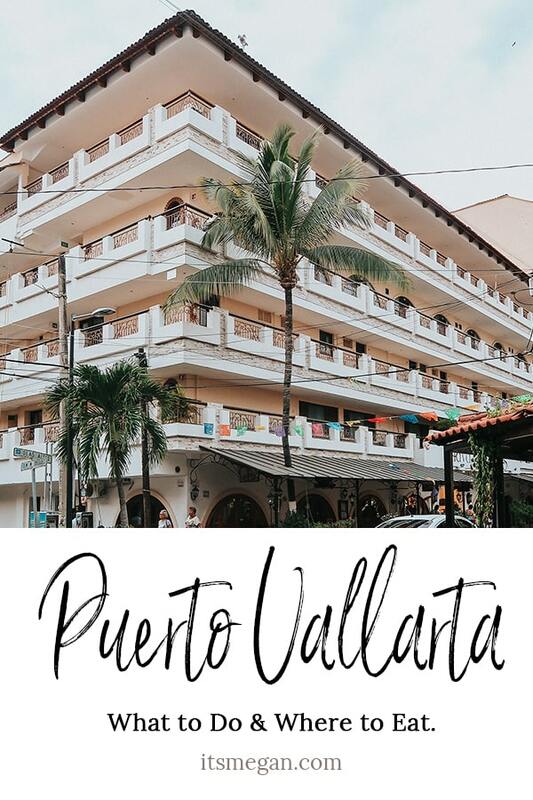 Puerto Vallarta also has really nice resorts, but additionally, there’s an exciting downtown that you absolutely need to explore! 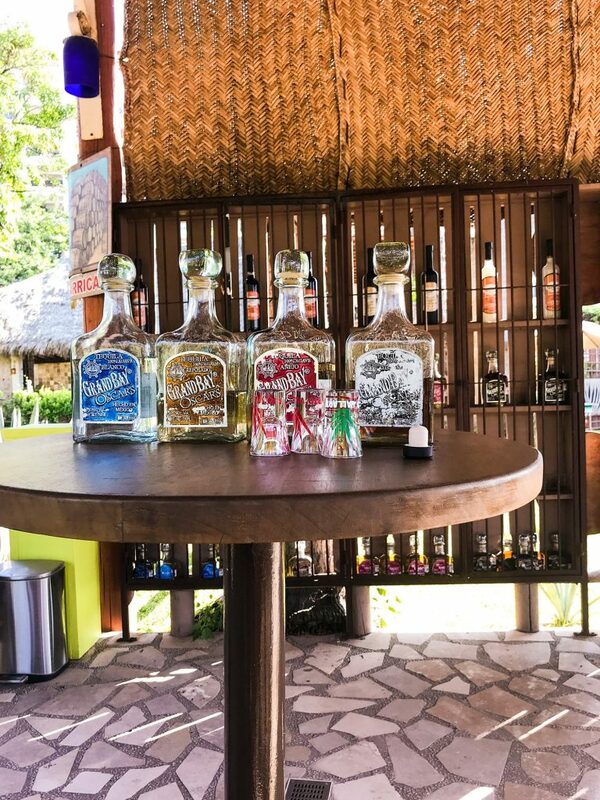 There are a few tequila companies in Puerto Vallarta, so you can drink local. (We were also on a huge Mezcal train when we were here). We stayed at Garza Blanca Resort (all inclusive). I highly recommend staying here! You’ll see more about Garza Blanca a little later. 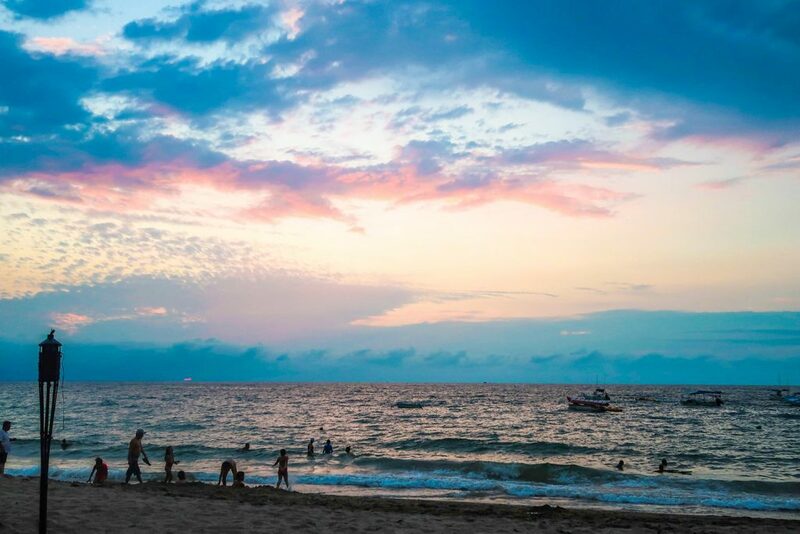 With comparing Puerto Vallarta with a few other resort areas in Mexico: the terrain in Cancun is all beach, with a much more Caribbean feel. You have the ocean on one side, and the lagoon on the other. Cabo is “where the desert meets the sea”. 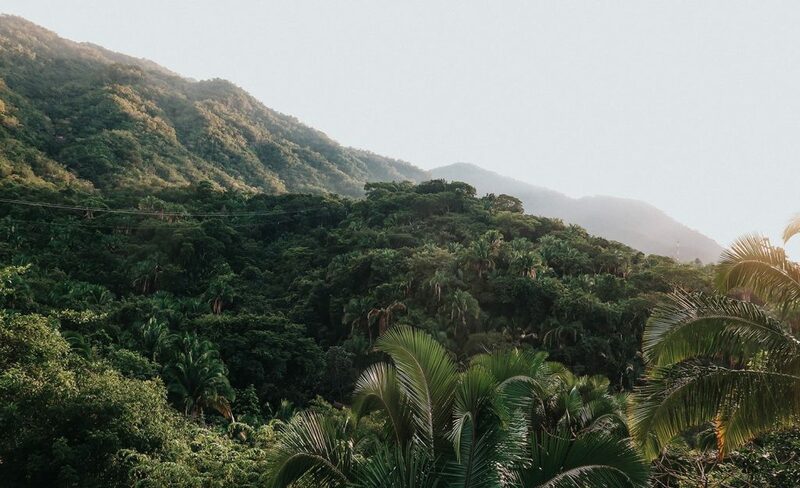 Puerto Vallarta is a jungle! It’s on the left coast of Mexico, and across from Cabo and the Baja peninsula. There are cliffs, giant rock formations, and a ton of greenery. You can do jungle tours (which my husband did) to see waterfalls, giant spiders, etc. 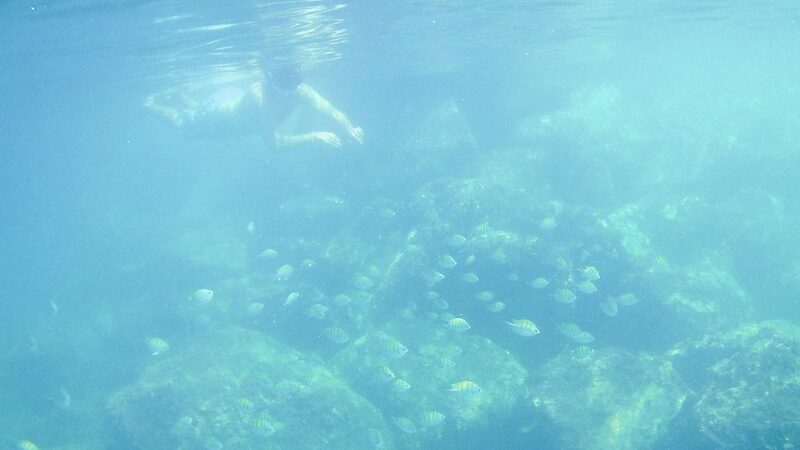 He loved swimming around the waterfalls and climbing treacherous rocks. I was too hungover to go, to be honest. The resort area is a quick Uber ride to downtown (they have Uber!). I cannot recommend leaving the resort enough. The downtown area is bustling, there’s amazing food and some great shopping. I didn’t feel unsafe as I was walking around, but I should clarify I never walked around alone, and plenty of people tried to sell us weed on the street. If you’re not used to that, you might be uncomfortable with it. But living in a big city has definitely helped me with being able to avoid eye contact with people on the street, which probably helped me here, too. We left the resort twice to go downtown for dinner. 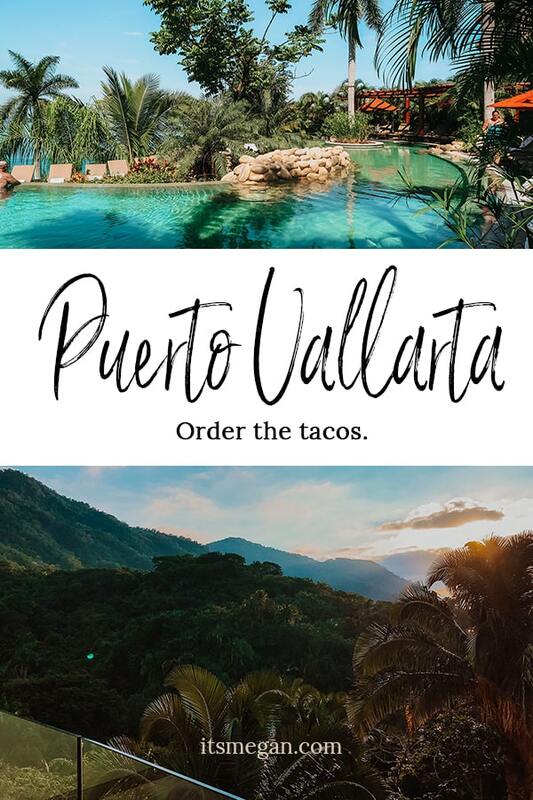 Having already paid for an all inclusive, it’s kind of hard to make yourself go out and pay for food, so I’ve eaten at only two of these restaurants, but the other two were highly recommended to us by locals! This is a taco restaurant that apparently has a line out the door until they run out of tacos. They always run out of tacos before their actual closing time of 2am, and they don’t even open until 6p! The night before we went exploring, some friends Ubered downtown strictly to get tacos, but Pancho’s had run out already. The next night, we tried to go here, but it was only 5pm so they weren’t open. The third night, friends tried to go here for dinner, but the line was outrageous. 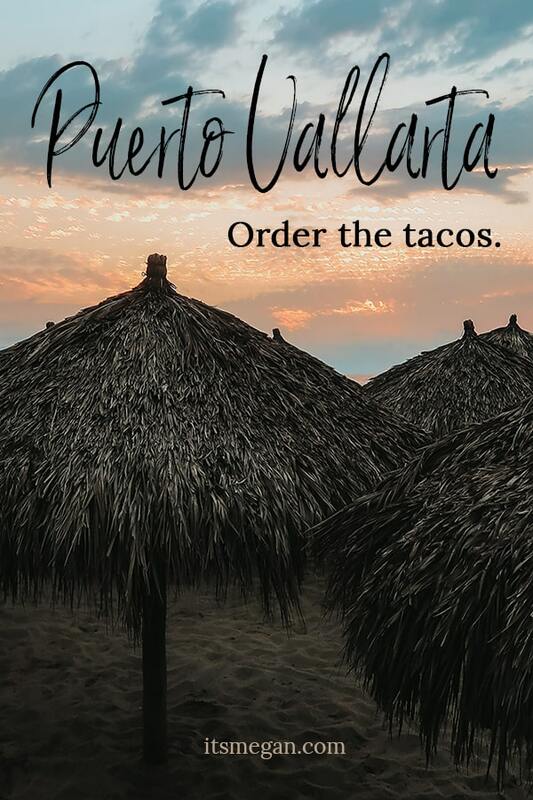 Why would I try to send you to a place that’s so hard to eat tacos at? Because they’re obviously worth it and I want to live vicariously through you. On Yelp, they have 5 stars with 589 reviewers, and 1 dollar sign. If you go here, make sure you let me know how they are! If you don’t make it in time to get tacos, don’t worry. When we were too early to Pancho’s we decided to go to the restaurant right next door. It has a great atmosphere with outdoor seating, and the indoor seating feels like you’re outside. 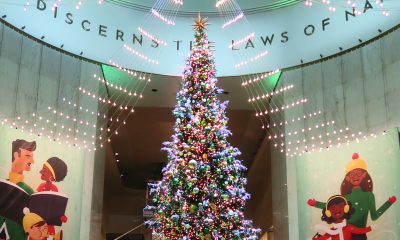 There are trees coming out of the floor and up through the ceiling! Yelpers give it 4 stars with 168 reviews, and 1 dollar sign. Between the group of us, we ordered tacos, empanadas and margaritas (and they were giant margaritas). I think we maybe paid $8 USD per person. 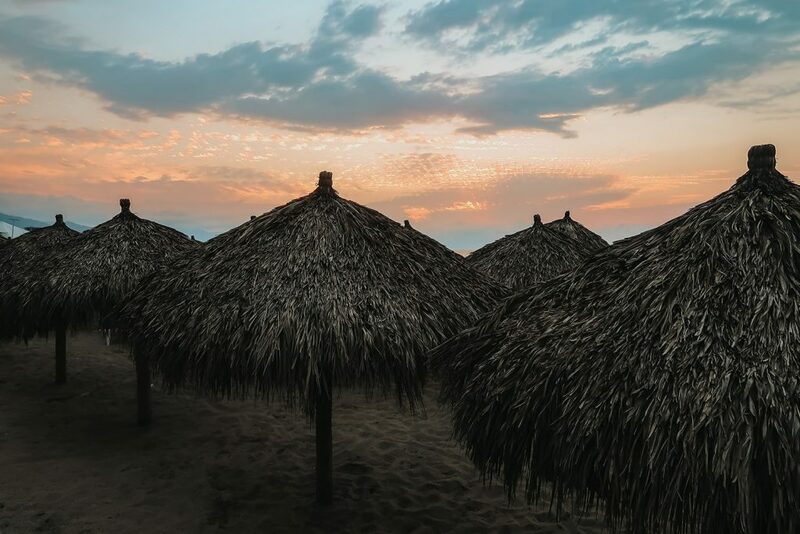 Not to be confused with La Palapa Bar in my Belize post. This was a date-night-place! If you’re looking for something a little more expensive and a lot more romantic, eat here! It’s right on the beach, the indoor area is open air, and the outdoor area is in the sand. You’ll find delicious dishes with fresh seafood, and great service. I think for my husband and I, we had maybe 5 servers? We never needed anything, because they took care of us immediately. Being on the beach, you’re also near the water which is where people are trying to sell things. This part can slightly ruin a romantic moment, but we did give in to the mariachi band that played a few songs for us at our table. 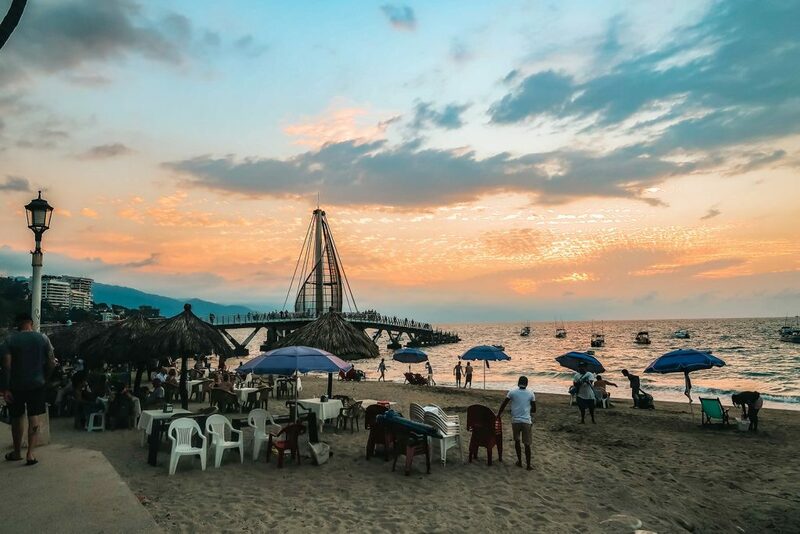 I recommend going at sunset, because the Puerto Vallarta sunsets are beautiful, and you can watch the city light up at night. 504 Yelpers give La Palapa 4 stars, and three dollar signs. There is a “Flea Market” area that is packed with shops lined up one-right-after-the-other. But… I recommend going a little bit away from that setup. The Flea Market kind of felt like it was a fake area set up for Americans, if you know what I mean. Explore the smaller side streets (they’re more like sidewalks, cars cannot drive down them). You’ll find shopping booths set up on either side of the walkway, with traditional colorful paper banners above your head. 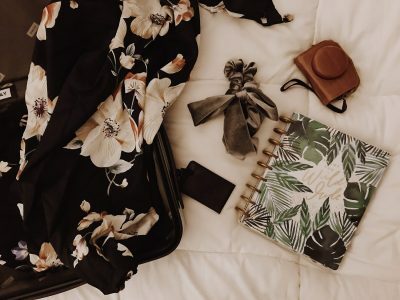 We love shopping for handmade items and artwork to bring back for ourselves or for gifts – and this was perfect for that! 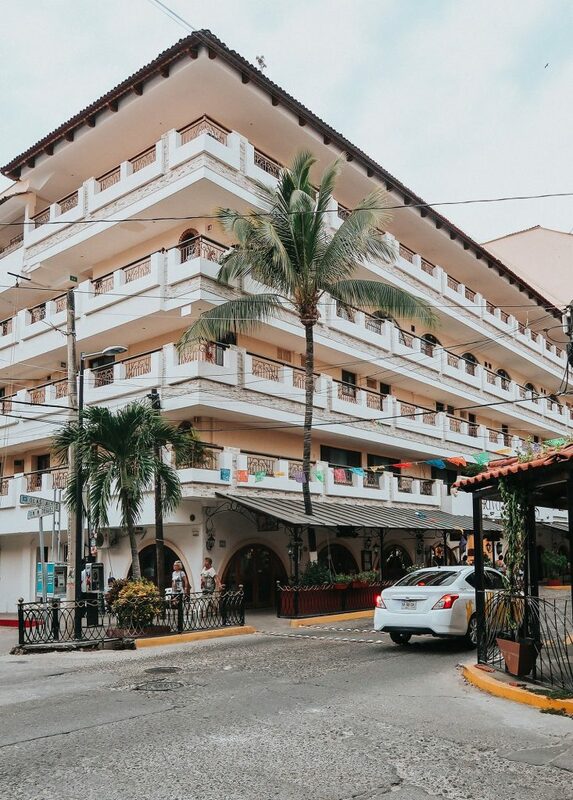 Walking around these “side streets” is a great way to see Puerto Vallarta! There are so many interesting places to explore. 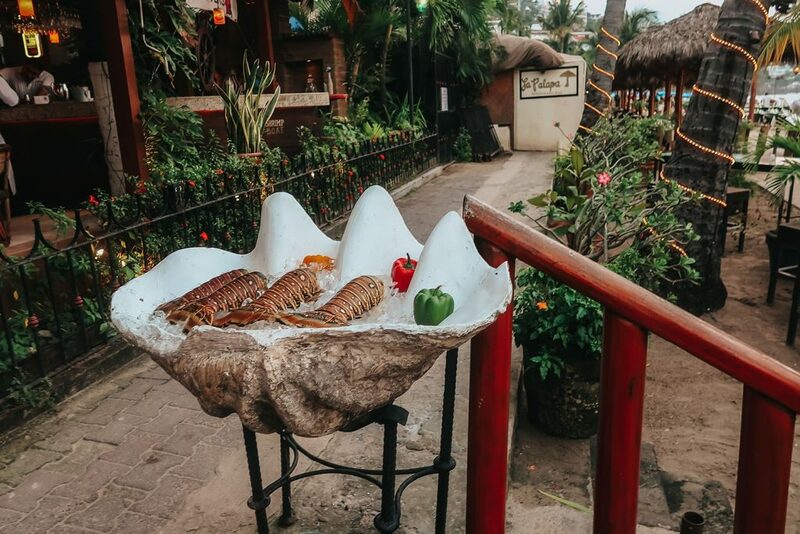 After your dinner at La Palapa, walk along the beach and walk out to the giant sculpture in the water, or stop for a few drinks at some of the open air beach bars! As I mentioned before, there are a few places to taste tequila in Puerto Vallarta. On our way from the resort to downtown, there’s a distillery you can stop at and learn how they make tequila. Then, in downtown near the Flea Market area, you’ll find a few more places to do tastings (they actually make their tequila in a different location. Tequila is similar to champagne in that, in order to actually call it “tequila”, it’s supposed to be made near the city of Tequila, Mexico). We did a tasting at Oscar’s downtown, and I think there were ten shots, per person? Woof. But we did buy a bottle, and they even etched our names into the bottle for us. If you’re not that into tequila, still stop by! They have a really cute restaurant, and aside from their tequila, they also make liqueur, which was delicious! As I mentioned before, we stayed at Garza Blanca Resort and Spa. First thing to mention: this place is huge. It’s actually 3 buildings (a trolly takes you between the three because they’re not that close together), and it’s actually 2 hotels. Garza Blanca is the main building (with beach access) and the middle building, but the building all the way in the back is called Hotel Mousai, and it has a much more modern/Vegas vibe. 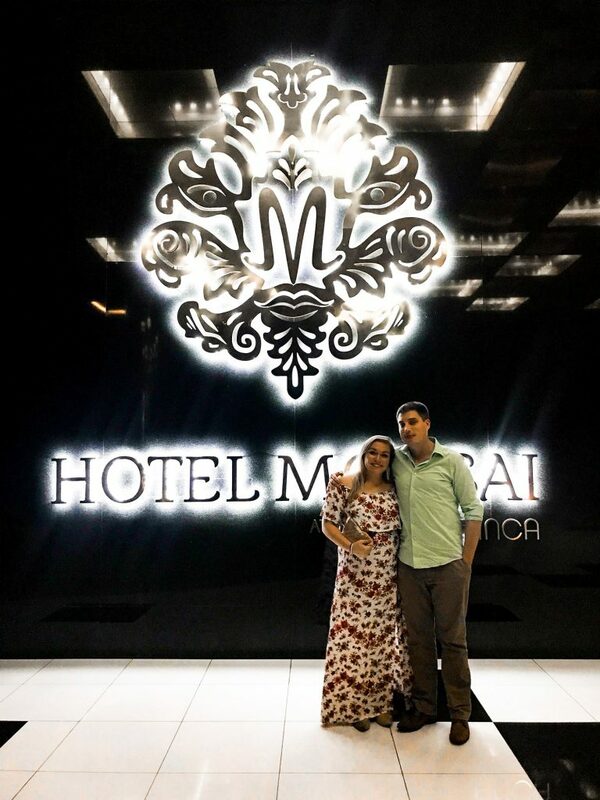 I personally preferred Garza Blanca, but I do believe Hotel Mousai is adults-only, and they have an awesome rooftop bar. Each “hotel” has their own pool and restaurants, so you can relax at your own building without having to take the trolly to get food, swim, get a drink, etc. However, the second building (where we stayed) only has a fancier restaurant and the pool bar. One thing that we did not like is that our pool bar closed so early, and different bars throughout the resort close early, too – but they all close at different times, so it was hard to keep track of. Just remember to bring a cocktail with you on the trolly if you’re coming from one of the other buildings! When you first walk into the room, you’re slapped in the face with a beautiful view! 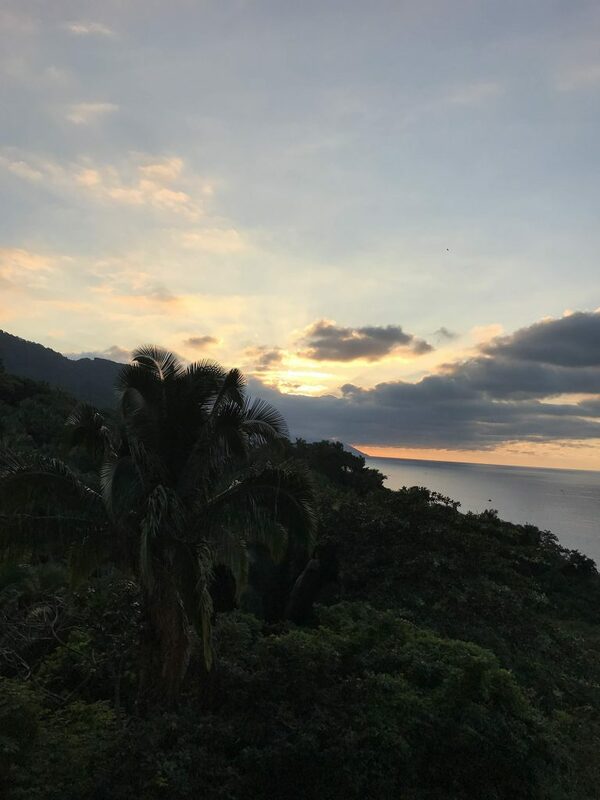 Our view was the photo above – a lot of jungle and the ocean. We could see the sunset every night and were able to see a bright, full moon our last night there. It was gorgeous, and we had an entire wall of windows facing that direction. 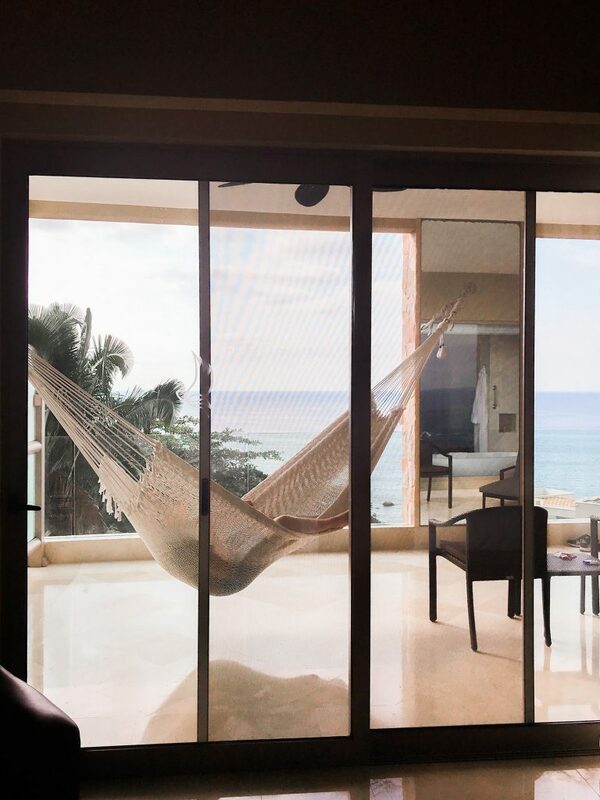 When you walk through the glass doors along that wall, there’s a giant balcony with a hammock and a few lounge chairs. It was almost like an outdoor living room. Something that was unique to this room than any other hotel we’ve stayed in was the bathroom. You know how a living room and kitchen are usually open to each other and you can see the living room over the kitchen counters? Well, that was our bedroom and bathroom relationship. The bathroom was entirely open to the bedroom, the only “doors” being the frosted glass door to the shower and one for the toilet. (Frosted glass doors that are only about 6.5′ tall, not floor to ceiling). Just a heads up, that part would be a little weird if you weren’t with your significant other. I didn’t mind it, but it wasn’t my husband’s favorite layout. This tub is the bathtub of my dreams. 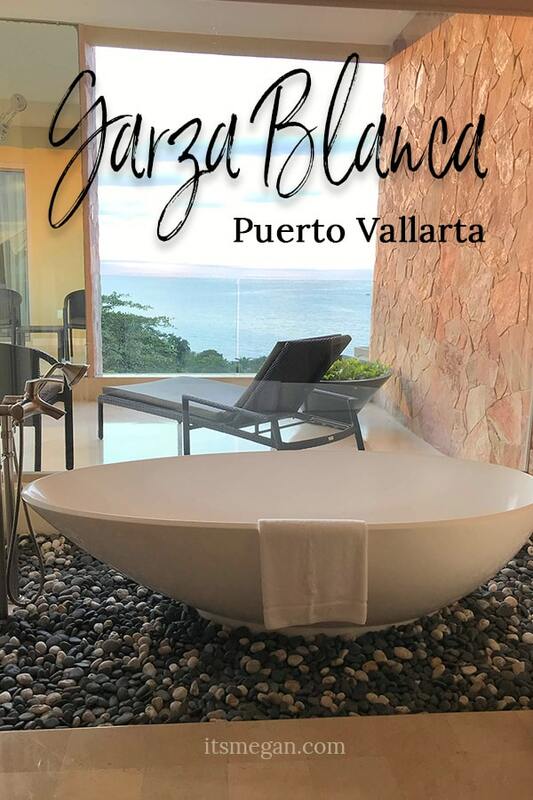 I knew what to expect from the photos on the Garza Blanca website… but OMG, that tub! It’s even better in real life. 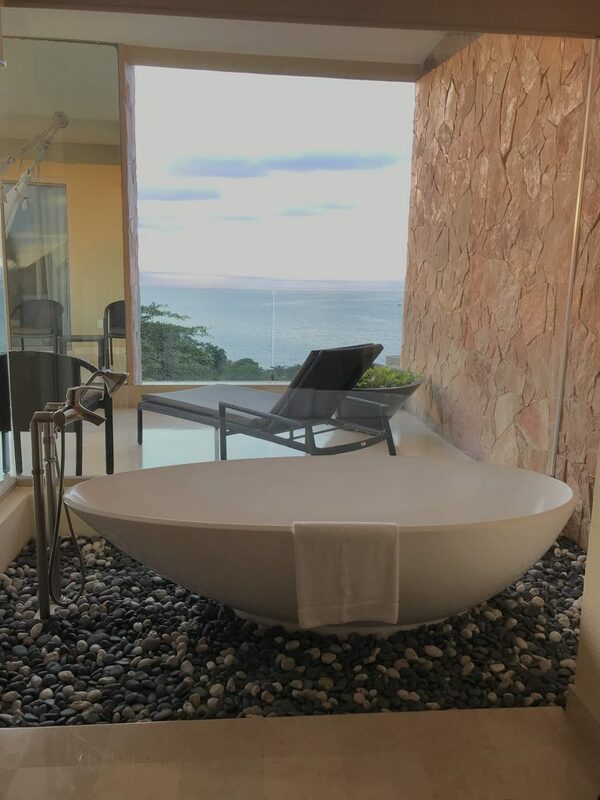 Soaking in that bathtub, with the view of the ocean and the jungle was breathtaking. Most of our meals at the hotel were breakfast and lunch on the beach. Our first night there, we had a large group dinner at the main restaurant, Blanca Blue. I’ll be honest, the food was a little too “innovative” for me. You can see for yourself in this photo on their website (please look at that photo.. I mean… what??) However, the atmosphere here is amazing! They have musicians playing while you eat, the windows wrap all the way around the room, and they had fireworks the night we were eating here! It was a magical experience. I do prefer the breakfast bar at Blanca Blue versus the Bocados STK (the other restaurant), but vise versa for lunch. The pool food is perfect snacky food, like pizza, tacos, mozzarella sticks. My three favorite foods. 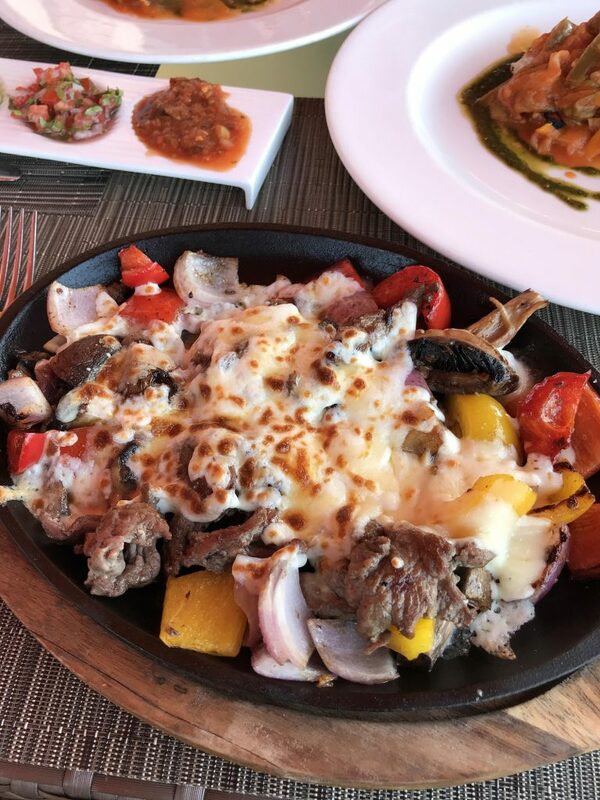 The package at Garza Blanca includes everything at Garza Blanca, besides room service. They hand you a “check” at the end of every meal, and you have to “close out” at the bar. You simply just you sign off on a receipt that shows how much you would have paid if you weren’t all inclusive. This took some getting used to, but it wasn’t an issue. It makes sense because you don’t have to be part of an “all inclusive package” to stay, and instead you can pay a la carte. 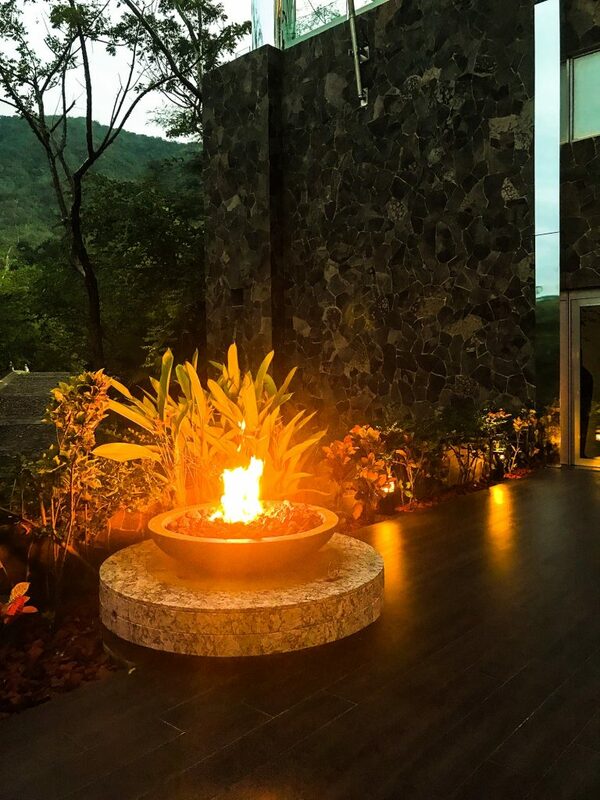 However, none of the bars or restaurants at Hotel Mousai are included in the all inclusive package. 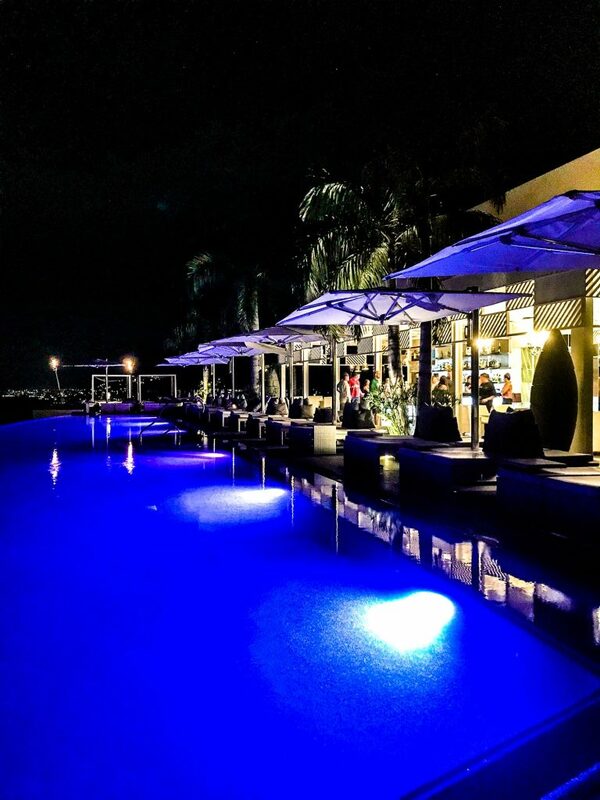 They have a gorgeous rooftop bar with a pool, a fancy restaurant called Hiroshi, and an outdoor bar with a bright orange tree! These are all additional charges outside of your “all” inclusive package. It was a little weird to have to worry about if something was included or not included, and remembering to sign the receipts before leaving each restaurant or bar was a bit annoying, but nothing to be mad about. 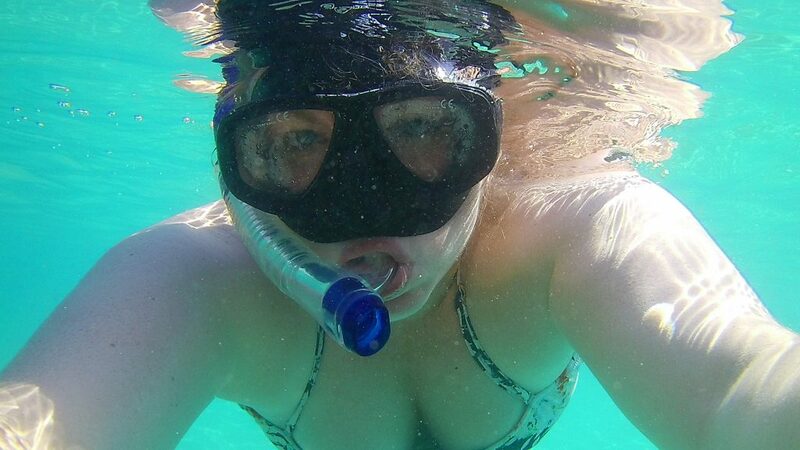 One of the coolest things (in my opinion) about Garza Blanca were all of the activities they include! 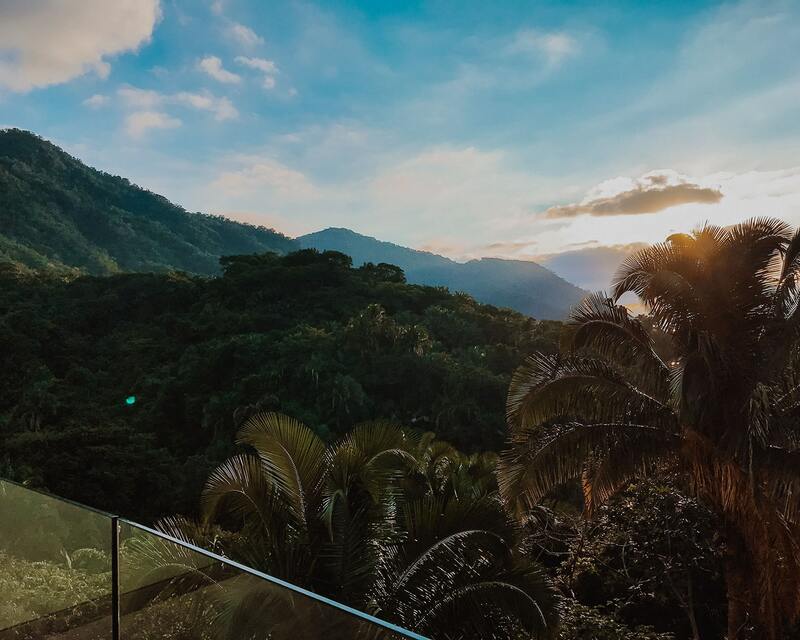 I mentioned my husband’s jungle hike, which was hosted by the hotel. They have an entire calendar of events including hiking and yoga that are free to hotel guests. Aside from the calendar of events, they also have equipment that you can borrow on the beach, for 30 minute increments. You can paddle board, kayak and snorkel, using the hotel equipment for free! 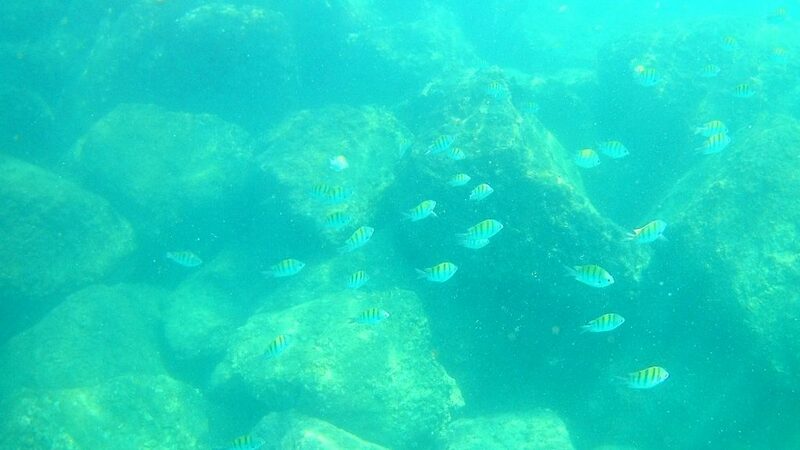 There is a large pile of rocks and cement chunks in the water, creating a cove where many fish have made a home. 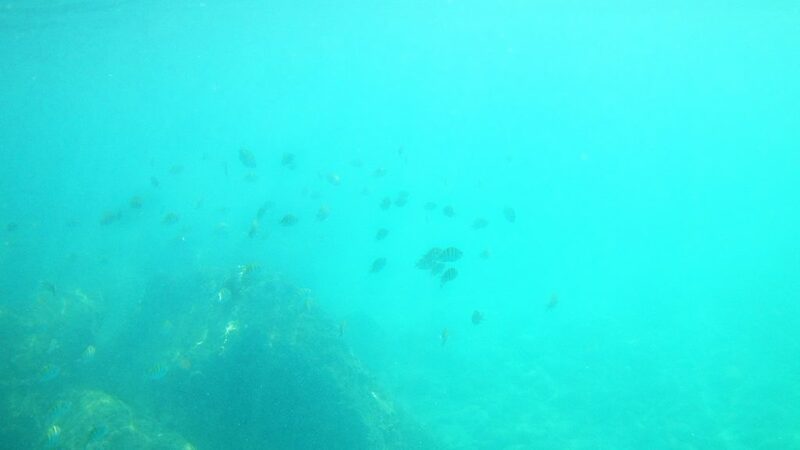 Between the group, we saw a giant eel, puffer fish, schools of colorful fish – and someone says they even saw a sea turtle! (Of course the day after we left, the hotel hosted a baby sea turtle release, which is a bucket list item of mine!). One friend also possibly stepped on a sea urchin, so just be careful out there, folks. As everyone files into the auditorium area, you take photos with people dressed in grass skirts and body paint, then you’re asked to take your seat. Have you seen the Scooby Doo Movie? The live action one with Freddie Prinze Jr? (also why does this movie only have 30% on Rotten Tomatoes?!) Well, it felt a lot like that, but in a good way! 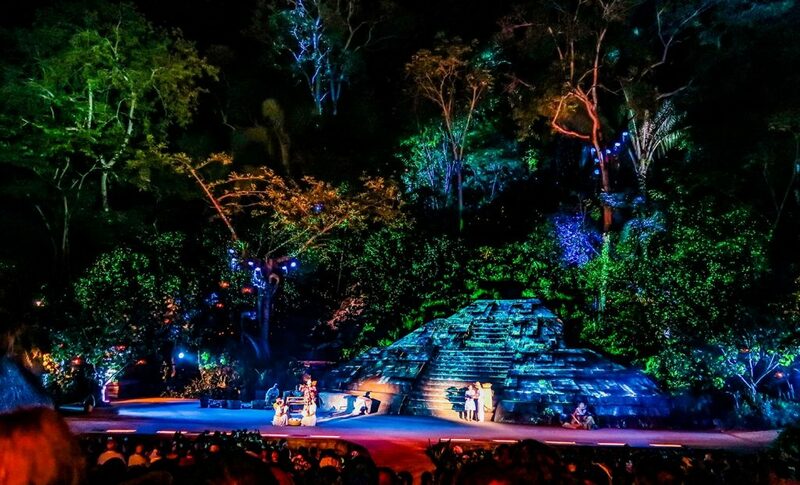 When you take your seat and look around, the stage is completely outdoors and under the stars, surrounded by jungle covered in little fairy lights. It was transformative. When the show starts, there’s a drummer suspended in the air, fire dancers, a giant man-bird on stilts, and crazy acrobatics. It’s Cirque du Soliel-esque. After the show, you have dinner and drinks by the water surrounded by candlelight before hopping back on the boat! If you have the opportunity, I’d highly recommend this show. We took the bride and groom with us, and I think we all highly enjoyed ourselves. 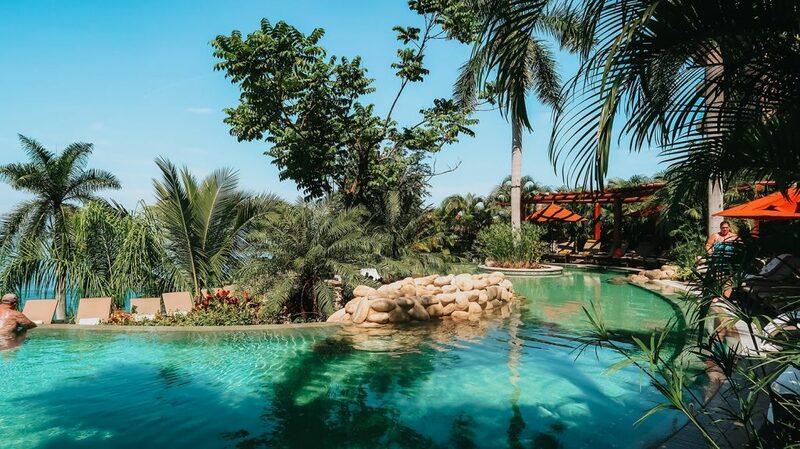 Are you planning a trip to Puerto Vallarta, or have you been before? I’d love to hear about it! What should I do next time I go? Oh my goodness! Those lobster tales look amazing! Loved the post! Thanks for sharing!!! I love vacations in Mexico. 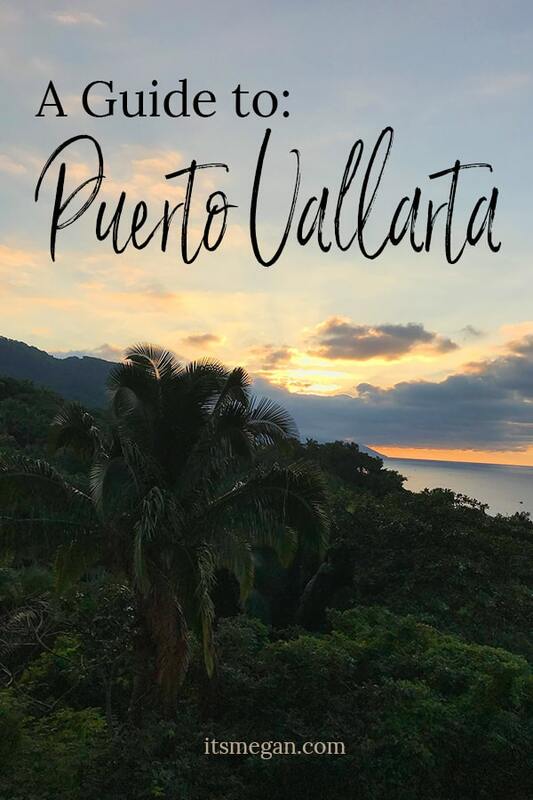 My wife and I used to go to Playa Del Carmen very year but I keep hearing great things about Puerto Vallarta! I loved Puerto Vallarta! 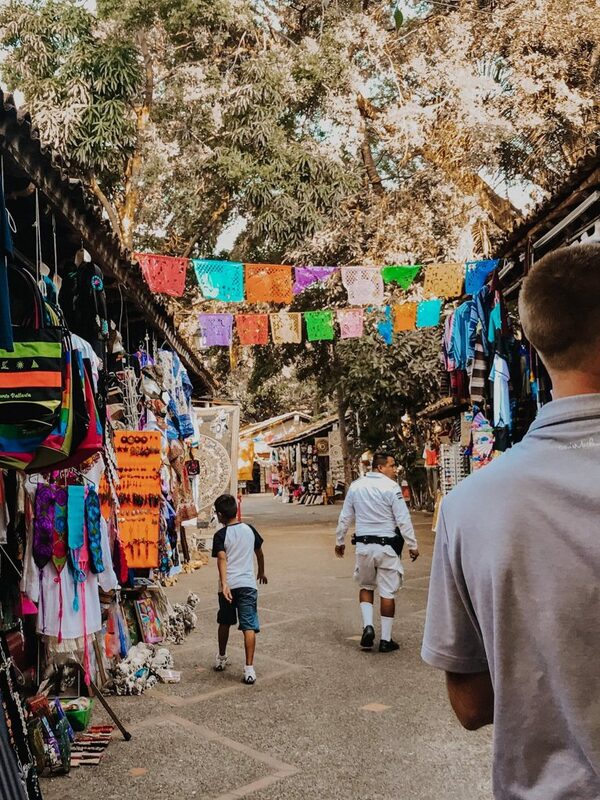 I spent a day at La Palapa and the Market! there was so much to see and do. Wow, these photos are amazing! Seems like you had a wonderful trip. 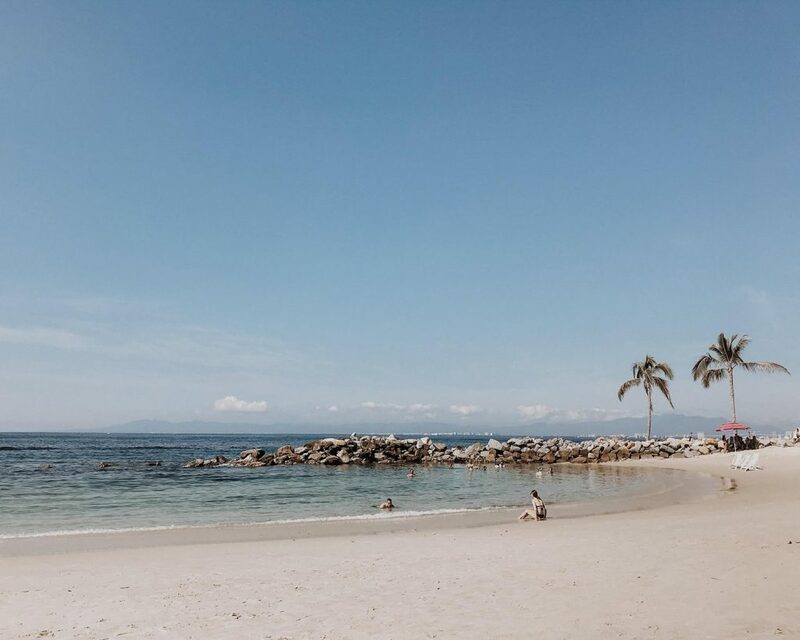 Puerto Vallarta is one of my favorite places in Mexico to visit! Your photos are gorgeous! Makes me want to take a trip to Puerto Vallarta very soon. Hello Magan, Mexico has been on my wishlist for such a long time. It looks like a paradise from your pictures. I visited Puerto Vallarta years ago. These pictures are so stunning. Really makes me want to go back! 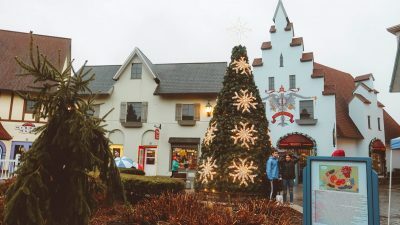 So many beautiful things to do and eat here! I’ve only been to Isla Mujeres, Cancun and Chichen Itza, I loved it, but it was a little touristy, so I bet this is much better!